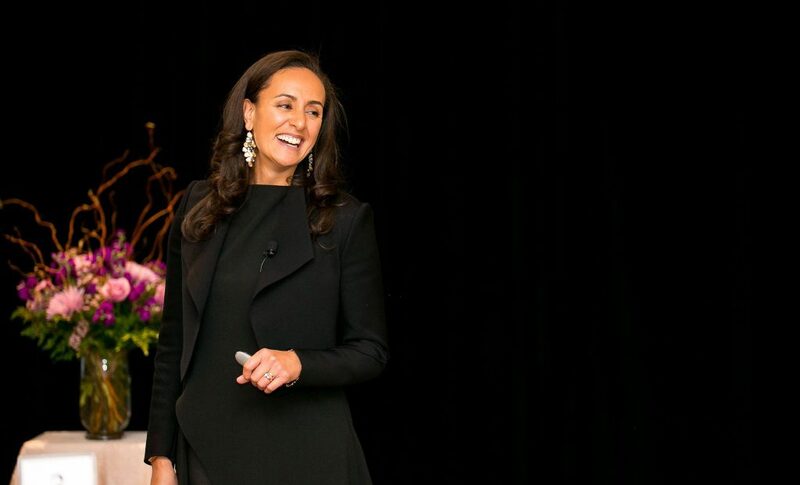 Brand visibility is a crucial part of a successful brand, and I’m thrilled to be speaking about this in partnership with the Cumberland Connects Conference for Entrepreneurs and Futurepreneurs on April 10. In preparation for this talk, I interviewed four rural business owners from across Nova Scotia. It was fascinating to learn about their unique advantages, and challenges when marketing their rural-based businesses. Our first rural business is Birkinshaw’s Tea Room, Coffee House & Restaurant. Located in Amherst, Nova Scotia, Birkinshaw’s is a traditional English tea-room with a modern twist. 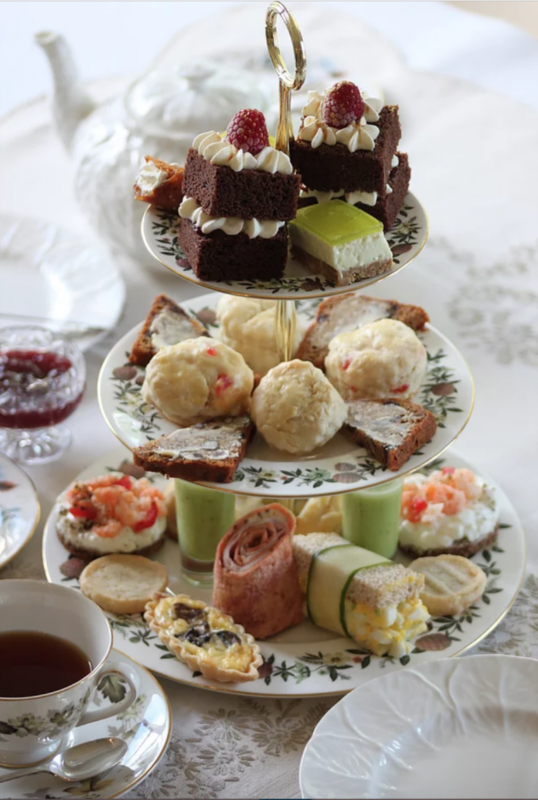 Featured in Chatelaine’s top 10 places for Afternoon Tea in Canada, they offer a range of traditional English cakes, bakes and pastries, as well as a selection of European desserts. If sweets aren’t your style, they also serve light lunches for those looking for a savoury option instead. Birkinshaw’s is known for its authentic English Afternoon Tea experience. Guests can expect to enjoy an arrangement of delicate finger sandwiches, mini-quiche, a velouté or gazpacho, scones, lighter cakes, desserts and pastries. All this is served, of course, with tea—or if it suits your taste best, coffee. While there are a few places in Atlantic Canada that offer this experience, what really sets Birkinshaw’s apart is their exceptional service and atmosphere. This certainly isn’t the crowded feeling you get from visiting a large chain like Starbucks. Birkinshaw’s elegant British ambiance helps customers to let go of their daily grind and to catch up with friends or relax after a long day of exploring Nova Scotia. Q: What does your customer base look like, being located in Amherst—which is a 50-minute drive from more populated towns like Moncton and Truro? The first thing we focused on was our local visibility. We have an eye-catching storefront on our section of the old warehouse we’re located in that helps us connect with foot traffic in the area. There are only 9,000 residents in Amherst, so we also use a heavy Social media presence with consistent branding to connect with the larger populations in Truro and Moncton as well as our local audience. Our demographic is mainly women, aged 35 and up—people who like to take their time to catch up over fine food and tea. We’ve worked with other local businesses as well with a similar audience, and this has always proved to be worthwhile. We’re currently working with Amherst’s French Toast week to celebrate the tradition of this delicious treat, as one example, and happily partner with the small business events in our area. At this point, it’s not unusual for people to drive upwards of two hours to come visit us. We’ve grown our business to appeal to the older generations via our specialty lunches and afternoon teas (which makes up the larger population in the area). 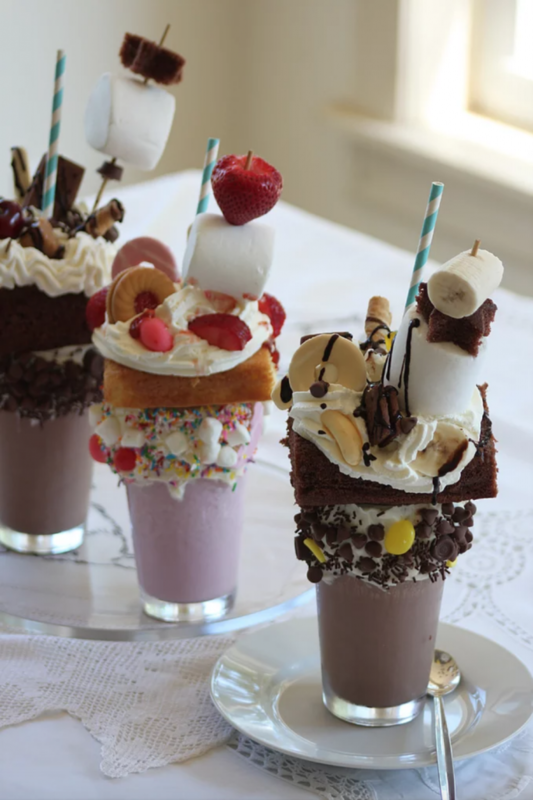 We have also broadened our offerings to entice parents and children with menu items like our ‘Freakshake‘ milkshake. Offering a truly unique experience allows us to draw from populations much further than an average restaurant would warrant. Q: What challenges have you encountered while building and running a business in a rural community of only 9,000 residents? You’d think it would be the small population, but for us it came down to the local by-laws regarding downtown signage. They’re outdated and constrain small businesses with a blanket ‘all-the-same’ mentality instead of a more modernized ‘case-by-case’ approach. They make no allowances for tasteful and appropriate downtown signage, but allow less attractive lit signs used by larger franchises. With the history and ambiance of Amherst at large, we’d expected a more heritage-led position, similar to small towns in Europe, and so we struggle to gain high visibility from our slightly tucked away location. We’ve also struggled to break the mould of coffee shops in our area. Before we opened, Tim Hortons was the only available option for coffee and tea, which meant that there was no pre-existing culture of going out with friends to have tea and light afternoon treats. We offer take-out as well, but our interior gives the impression of a ‘special’ experience and not somewhere people can pop-in on the go as well. Navigating this change has been a slower going than we’d expected. Q: How do you drum up the kind of excitement that lands your business to be featured in Chatelaine as one of the top 10 places you ‘must see’ on a tour of Nova Scotia? Branding and positioning our messaging in a multitude of ways. From the outset we knew that encouraging engagement with our loyal customers and potential audience was key to gaining ground in a small community. We decided on the ‘personality’ —or brand voice—of our messages to inspire our followers to interact with us via comments, sharing recipes and tagging their friends. Our photography is high quality, the kind of standard you would expect from a lifestyle magazine, and inspired by the heritage of Afternoon Tea. We aim to evoke memories of long-past traditions and convey expertise in presentation. We’ve also been comfortable asking for coverage. From editorial coverage in large magazines to TripAdvisor recommendations, we’ve been confident in our offerings and have no problem requesting the coverage needed to spread the word about our shop. Q. How does brand visibility help your business stand up against larger chains and a small population? We started with the idea of an atypical eating experience serving quality food and backed it up with a professional logo. By investing in our branding up front, we were able to convey a high standard for quality and attention to detail in all of our messaging. Because professional photography is a part of our branding standards, we’ve been able to convey the excellence of our services and also expand our offerings without causing confusion for our loyal customer base. 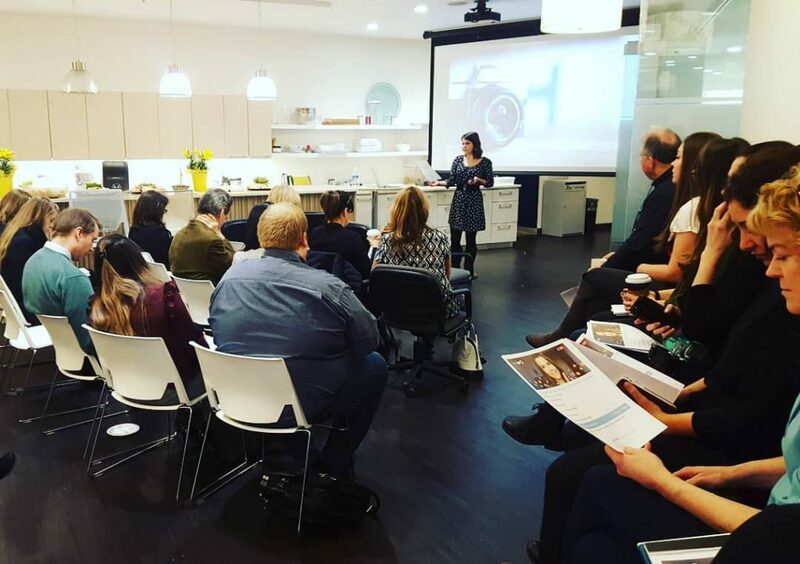 We started including evening events, catering and a baked to order catalogue—and our customers accepted all of these with the understanding that they could expect the same level of quality they’ve always received under the Birkinshaw’s banner. You can find the examples of our branding in action on our Facebook page and our website. Next up is a very different rural business model. Stratigro is a service based business located in Saint-Alphonse, helping entrepreneurs position themselves as experts, build relationships and attract the right customers. Denise Alison, founder and CEO of the company, helps business owners decide on what valuable content to share on social media and live video to reach their audience building goals. Denise is also the creator and host of ‘The Art of Online Marketing Live Show’, a weekly Live show that share tips and strategies to help entrepreneurs make an impact with their social media efforts. To be able to serve a larger audience, Denise shifted her skills into a training course called The Live Video Formula, a training course developed specifically for entrepreneurs to walk them through everything they need to create their own live video show. Between helping her clients with Social Media Strategy, Content Creation, Strategy Implementation and training, you can find Denise performing and improve show, cuddling her dog or training for a half marathon. Q: Saint-Alphonse is quite out of the way! 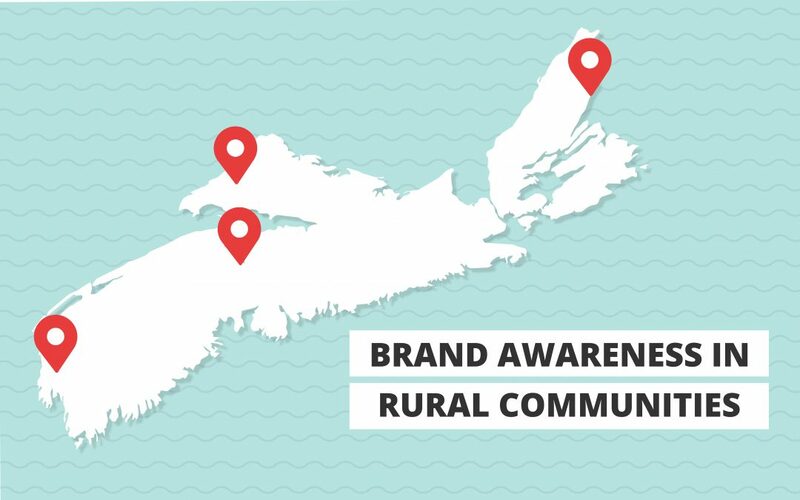 Located in the municipality of Clare—3 hours away from Halifax—how does the rural location affect your client demographics? My area has about 7,000 residents, most of which are fishermen and other small business owners. While the smaller local population does affect my marketing, since there are fewer people to network with locally and not a lot of community building going on, I’m lucky to have a skill that can be exported nationally. I work with clients across North America. Most people come to me through social media and the rest come via referrals or by having seen me speak at events. Because my business is something that can be done from anywhere, the smaller local audience doesn’t change the demographic for my business overall. Q: You’ve already hinted at some of the difficulties that come with having a small business in such a small area. With an exportable skill like yours, what about your location is challenging? Personal connections. Where there is less of my ideal audience located in my area, there is less chance of being able to forge the kind of personal connection that comes with face-to-face interactions. I’m lucky that a lot of my clients have come to me via social media, and having been a part of my weekly show, they already have a sense of knowing me—so connecting is a lot easier. I have a strong internet connection where I’m located (thank goodness! ), but when I do need to see to a client in person, there is usually a very long way to drive associated with it. The lack of community is hard to handle sometimes as well. When you live in a place like Halifax or even Truro, there are networking events most nights of the week. Creating in-person connection like you mentioned in your blog post on using live events for your brand, the kind of connection you can make online isn’t quite the same as what you can forge in person. Public speaking and presenting goes a long way to address this particular challenge. Q: What marketing tactics are you employing to make life easier? For me, it’s video! My live show and consistent brand presence is really the #1 thing that has allowed me to break out and reach a national/international audience. Like I mention in my Live Video Guide, video gets up to 600% more engagement than any other type of video or written content. Consistently showing up with weekly live video has become a part of my brand identity, and continues to be my main marketing tool. Q: Is this the reason your brand has become so visible, despite the location of your business? Yes, absolutely. Showing up with a recognizable brand is so important for your business. Especially in my case where you hardly get to meet people face to face! That’s why I developed a course around live video which is launching soon, called the Live Video Formula. I’d welcome everyone looking to build a solid live video presence on social media to attend. Highland Bow & Arrow is located on the Cabot Trail, Cape Breton Island, Nova Scotia. Teaching traditional archery on an outdoor range and on a trail in the woods on 3D targets, this rural business hosts school groups, birthday parties, bachelor/bachelorette events and an annual tournament in July. They also sell a variety of merchandise like t-shirts, hoodies, hats and more. While offering a highlight in the Cape Breton region for tourists, this business has a strong client base located in the local area and across the island, especially in Sydney, Cape Breton. Owner and instructor, Jay Rawding, works both on and offsite, catering to cultural and recreational events across Cape Breton. She also runs an all-female archery club called Lady Archers. With an additional 4 mentors, each leads a special event per month during the summer and fall. This club focuses on the body and mind beyond archery and often focuses on mental health, yoga, posture, survival skills and other educational opportunities. Q: Cape Breton is an island of 132,000 residents, broken up into a multitude of small communities across the island. How does this affect your demographic? I would consider the whole island to be my community. We are a small island and I realized after two years of service that 60% of my clientele are women and girls. This is the main reason I created Lady Archers. With how small the population is, it makes it a priority to market beyond the island to other parts of Nova Scotia. I rely on the tourism season heavily and it shapes all of my marketing efforts. Q. Being in a rural community—and island no less—makes for some unique challenges. How does being so remote affect your business? For us, it’s being located in a rural area over an hour away from any city centre where you can access banks, groceries, etc. Logistically this can make things very difficult unless you plan ahead for everything. Even the nearest gas station is between 35 and 60kms away of my location. With a business focused on the outdoors, I also don’t have power or water running through the archery grounds. This comes with it’s own challenges, considering the activities that my clients are participating in. On top of all of that, the other major issues include staffing, transportation and staff housing. Q: It’s incredible to see a business thrive with these kinds of challenges. What kind of marketing tactics are you using to promote your business? Social platforms such as Facebook and Instagram have been integral in my promotions. These are heavily utilized platforms in Cape Breton and provide reliable reach for those audiences I want to reach abroad. I also work with other businesses on the island and we promote each other on our websites. We utilize opportunities with adventure tourism writers, bloggers, etc and generate content in other countries by hosting those writers and sharing our experience with them. Luckily for us, being located in one of the biggest tourism attractions in Nova Scotia, we also have our information promoted by our Tourism organization and in every visitor centre. Q: How does your brand visibility help your business stand out? Brand visibility is what separates me from a regular archery club. It is what allows me to sell merchandise to non-archers and people who may never show up to experience my service. 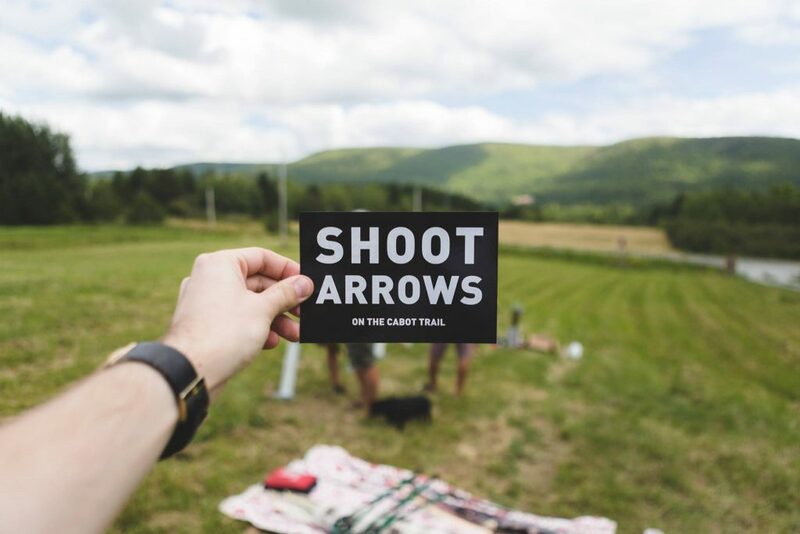 Our brand is more than archery; it is a lifestyle on the Cabot trail that I am selling. Everything from our logo to our messaging and offerings supports this concept. 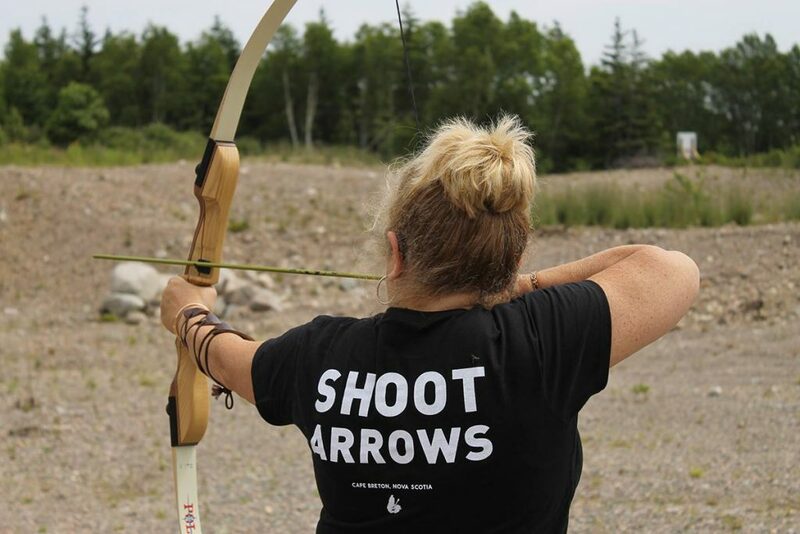 And if you’re making your way to Cape Breton any time this summer—Lady Archers is kicking into high gear with a number of amazing events this year. 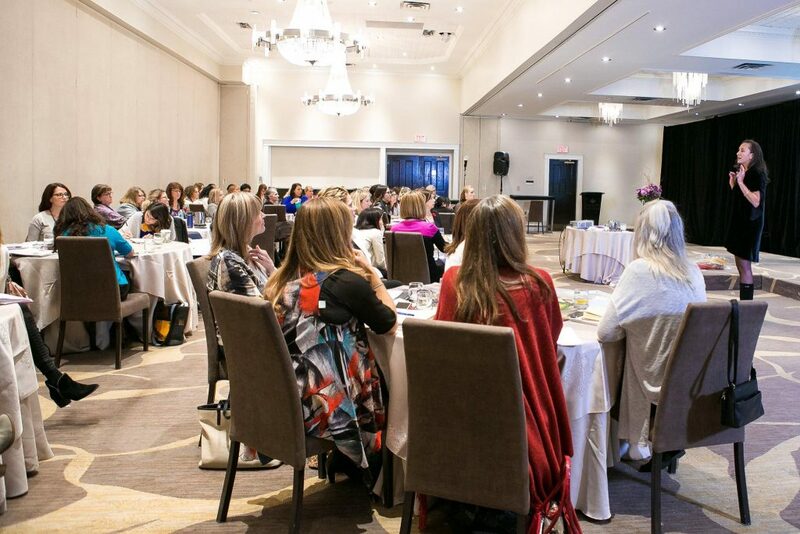 Eleanor Beaton is an award-winning journalist, speaker, women’s leadership development mentor, and podcast host, working with high-powered women entrepreneurs to achieve unprecedented results with clarity, confidence, focus and grace. Through her world-renowned leadership training, elite-level mentorship, international keynotes, and live events, Eleanor helps ambitious women business owners develop the confidence, presence, political savvy and influence they need to smash the glass ceiling and take their seats at the tables where the big deals and big decisions are made. Eleanor has played a pivotal role in my own business over the past several years, as my coach and mentor. Q. You live in Windsor, Nova Scotia with a local population of about 23,000. How does living in a rural community impact your business? The idea of a business being based somewhere is old school. Even though I live in Windsor, my business isn’t really based there. I run an international business by leveraging the power of the internet and programs that allow meetings to happen seamlessly from any location. I have employees who live in Texas and Michigan—and I work with clients from around the world. The fact that I live in a small, rural community is irrelevant to the success of my marketing. I don’t have the need to market locally, as my focus is marketing globally. When it comes to successfully marketing my business, it’s less about where I’m based and more about where my customers are. Q. Would you consider there to be any challenges that your business faces from being located in a rural community? I don’t see any challenges that come from building and running an international business from a rural community. I believe that you can build a world-class business from anywhere that you are. I also believe that Its 100% easier to do business in Windsor, Nova Scotia, than anywhere else in the world. Q. What marketing tactics are you using to show up on a global scale? The very best marketing tactic that I’ve used to increase the visibility of my brand has come from commitment and consistency. Over the years I committed to showing up regularly with high value content. For the first 18 months to two years of my business I consistently wrote at least one blog post a week. I then started the, Fierce Feminine Leadership Podcast. The first 200 episodes I recorded, I released three episodes per week. I now release two episodes per week and I’ve currently recorded episode #330. Showing up consistently is the most important thing when marketing your business, and its the biggest content killer for most business owners. Another way that I’ve effectively increased the visibility of my brand has been identifying and aligning with influential brands and making something exciting happen through events. I started off with virtual events and then moved into live events. Although its always a risk to host your own events, its also the most rewarding. Don’t wait for people to invite you to the party. Be your own centre of influence and host your own events. Q. You mentioned showing up consistently as a key factor in your marketing. How important has this aspect of brand visibility been to growing your business? Brand visibility is incredibly important because it builds familiarity. If someone is going to do business with you they have to know, like and trust you first. Being committed to being consistently visible allows your brand the opportunity to strongly stand for something. Having a strong position in the market is what will help you to grow your brand, your business and your bottom line. Do you have a business in a rural area? Leave us a comment with your website and your top tip on how you create brand success with your business!